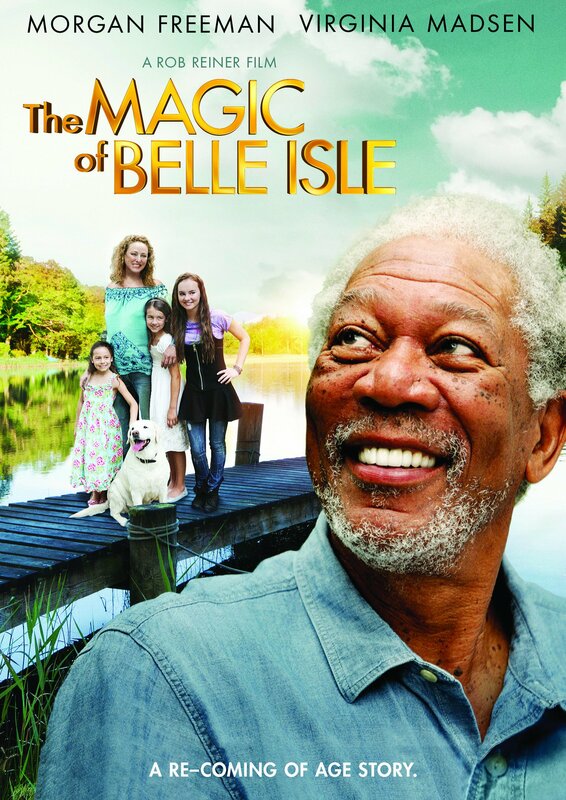 I didn’t know that “The Magic of Belle Isle” is also about a writer. It was the second movie I saw this rainy weekend. I first saw “Being Flynn” and it was actually good (you can read about it here). And so when I found out the next movie is about a novelist who lost his passion for writing, I realized I may be really a writer at heart. And these two movies are my writer’s block potion. Well, I must say they’re effective. Anyway, I knew it’s a movie starring Morgan Freeman. I was updated thanks to his Facebook page. When I saw the copy, I just had to watch it. It’s Morgan Freeman. How could you go wrong with him? And so I saw “The Magic of Belle Isle” and it was inspiring. It says on the cover that it’s a re-coming of age movie. That really widened the smile on my face when I saw it. It’s about a novelist in a wheelchair named Monte Wildhorn who comes to Belle Isle for a vacation. He actually stopped writing and became a drunkard. He’s a grumpy old man who has to babysit a lovable dog that comes with the cabin he is staying at. Despite his grumpiness, he becomes acquainted with his neighbors and eventually wins the hearts of everyone. He particularly becomes close with his next-door neighbors, a spirited beautiful lady and her three young daughters. She is in the process of divorcing her husband. Her middle child pays Monte to be her mentor in writing. He teaches her the power of imagination and the magic of storytelling. Monte also becomes friends with a neighbor and her special child. He later employs him to be his “side-kick” so he could lose that bunny hop he always do. Eventually, he regain his passion for writing and begins to write for the little girl next door. He also stops drinking alcohol and he even agrees to babysit the three kids as he discovers himself falling in love with their mother. It’s a heartwarming story, the kind that will put a smile on your face at the beginning and will keep it there until the end. “Never stop looking for what’s not there,” he says to his student when he finally leaves Belle Isle. Monte comes back, though, after finally buying the cabin for himself. I really had fun watching it. The setting is just so lovely. White picket fence, a lawn, a lake, flower gardens, safe neighborhood, a little island you can apparently reach even by just an unprofessionally made raft–that pretty place you would want to go for a summer vacation. Now if only they some sort of put an explanation on how the mom’s lunch box got in the island. And why the hell would a parent let three children paddle on their own to an island on just a makeshift raft? But then again, I guess the movie just wants to leave the rest up to the viewer’s imagination. Because that’s what this movie is really all about: Never lose your imagination and inspiration because that’s how magic happens in our life. This entry was posted in Spud Times and tagged Morgan Freeman, The Magic of Belle Isle. Bookmark the permalink.